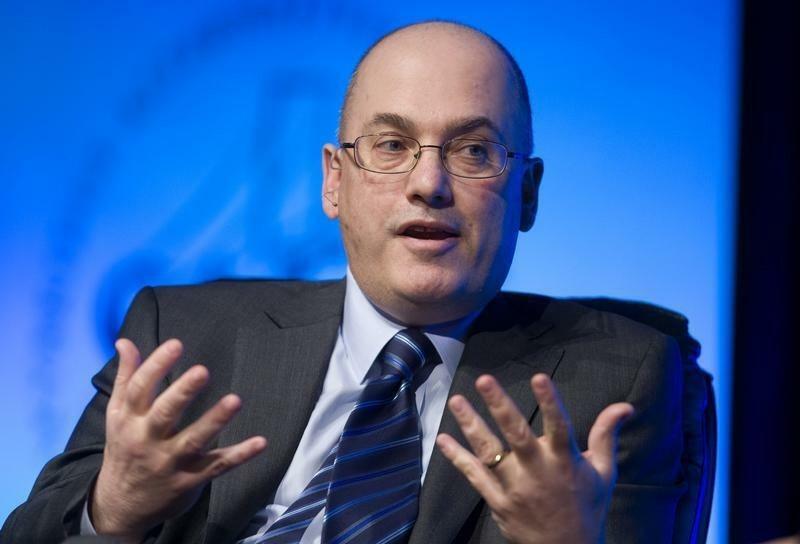 (Reuters) - The hedge fund billionaire Steven A. Cohen has resolved U.S. charges related to insider trading, in an accord that clears the way for one of Wall Street's top investors to soon manage outside money even after his former firm pleaded guilty to fraud. Cohen accepted a two-year ban on managing outside money in a settlement announced on Friday by the U.S. Securities and Exchange Commission, possibly ending the long probe by the government into Cohen and his former firm SAC Capital Advisors. The accord is a victory for Cohen, 59, whose Stamford, Connecticut, firm, now called Point72 Asset Management, manages his roughly $11 billion fortune. It allows Cohen to resume managing money for outside investors as soon as Jan. 1, 2018, without the overhang of a potential lifetime ban. No fine was imposed. SAC, which once invested more than $14 billion, pleaded guilty to fraud in 2013 and paid $1.8 billion in criminal and civil settlements with U.S. authorities. Cohen agreed at the time to stop managing outside money. He was not criminally charged. In resolving a 2-1/2-year-old SEC administrative proceeding, Cohen did not admit or deny the regulator's findings that he failed to properly supervise former portfolio manager Mathew Martoma, who was convicted in February 2014 of insider trading. Friday's settlement "achieves significant and immediate investor protection and deterrence, while ensuring that the activities of his funds are closely monitored going forward," Andrew Ceresney, head of the SEC enforcement division, said in a statement. Prosecutors said Martoma, who worked at SAC's CR Intrinsic Investors unit, generated $275 million of illegal gains in 2008 by trading in Elan Corp and Wyeth shares, based on tips from a Michigan doctor about a clinical trial of an Alzheimer's drug that the companies were developing. Wyeth was bought by Pfizer Inc (PFE.N) in 2009 and Elan by Perrigo Co (PRGO.N) in 2013. The SEC said Cohen "ignored red flags" indicating that Martoma might have had access to material nonpublic information about the clinical trial. It also said Cohen learned information from Martoma that "should have caused a reasonable hedge fund manager to investigate" whether insider trading was taking place. Martoma, 41, is appealing his conviction and nine-year prison term. The SEC case against Cohen became weaker after federal prosecutors last year abandoned their insider trading case against Michael Steinberg, another former SAC portfolio manager. Steinberg was convicted in December 2013, but prosecutors dropped the case after a later change in the law on insider trading. The SEC originally accused Cohen of having failed to properly supervise both Steinberg and Martoma. Friday's settlement requires Cohen to retain an independent consultant to monitor Point72 for up to four years. One person who might serve is Bart Schwartz, a former federal prosecutor appointed as SAC's compliance consultant in the firm's criminal case, according to settlement papers. At SAC, Cohen delivered some of Wall Street's best returns over two decades, averaging roughly 30 percent annually. Point72 generated a 15.5 percent net return in 2015, a person familiar with the matter said, even as many other investors ended the year in the red. In a memo to Point72 employees seen by Reuters, Cohen pledged to pursue "the highest ethical standards," after having vowed when SAC pleaded guilty that "what happened to SAC would never happen to Point72." He also said having the opportunity to eventually manage outside money "does not necessarily mean" he will do so. "Inevitably, some will ask why I agreed to settle," Cohen wrote. "The longer the pending litigation lingered, the more it distracted from the world-class Firm that we are building," he wrote. "Resolving the case gives us certainty and opens a path to raising outside capital." At least two former SAC clients on Friday said they might invest with Cohen again if given a chance. Ed Butowsky, who advises wealthy clients at Chapwood Investments in Addison, Texas, compared Cohen's potential comeback with Michael Jordan returning to the Chicago Bulls basketball team after a brief stint in minor league baseball. Cohen is "the greatest investor of all time," Butowsky said. "I'll give him money the second he'll take it."